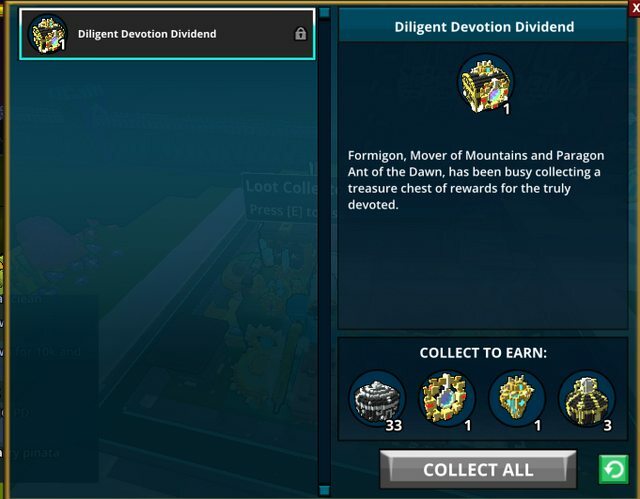 Formigon, Mover of Mountains and Paragon Ant of the Dawn, has been busy collecting a treasure chest of rewards for the truly devoted. 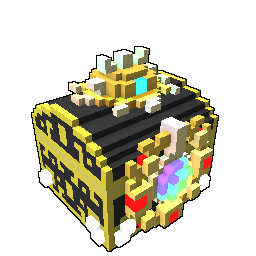 Loot Collect this chest for 33 Gem Booster Boxes, 3 Empowered Gem Boxes, 1 Double Experience Potion, and 1 Builder's Superior Focus (a gem augment item). 25 most recent forum posts that mention "Diligent Devotion Dividend"